It's a familiar story: A chance meeting over 10 years ago in Ibiza (where else?) 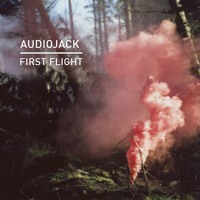 forms the basis of the duo now known as Audiojack, a Leeds-based DJ and production outfit made up of Richard Burkinshaw and James Rial. Over the last decade the twosome's initial link-up on the White Island has evolved to become a formidable outfit; rocking dancefloors from Brazil to Australia, unleashing a consistently high level of their own music and managing a label, Gruuv, that has maintained a sterling reputation for nurturing the very best in talent, new and old. Despite a large degree of success from the beginning (their first single 'Robot' thrust them into the limelight back in 2005), Jamie and Rich have maintained a degree of control over their careers that is rare to find in the modern-day, looking inward and reinventing themselves to keep things constantly fresh. Though they are focused on the dancefloor, their output is not limited to one particular style – you can always expect quality, but they straddle a variety of styles from techno through to the more melodic end of house music. “We’ve been DJing for over 30 years between the pair of us and we always look at things from the perspective of the dance floor, therefore our music is always focused on that,” they say. 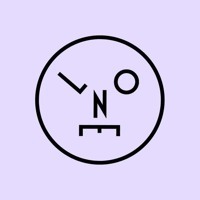 This focus has seen them notch up one successful release after another, from their expertly reimagined mix of Jaydee's classic 'Plastic Dreams' to the huge 'No Equal Sides' EP, released via their long-standing relationship with seminal label 2020Vision. 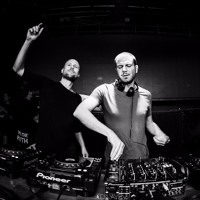 It was the label's best-selling EP of the last 12 months and the pair themselves were the 6th most charted artists of 2012 by Resident Advisor's community. As well as a constant flow of original material, Jamie and Rich have produced remixes for labels such as BPitch Control, Get Physical, Cityfox, Diynamic, Exploited, Gomma, Tsuba and Leftroom (where it all started). Meanwhile, thanks to their fun-filled, energetic DJ sets, this past year Audiojack have been enlisted to rock dancefloors at some of the world's best-known and most respected clubs, including: Kater Holzig, Ritter Butzke & Watergate (Berlin), Sankeys (Ibiza), Rex Club (Paris), Hive (Zurich), Harry Klein (Munich), Electric Pickle (Miami), Ego (Hamburg) as well as past appearances at venues such as fabric in London, Space in Ibiza, Zouk in Singapore and D-Edge in Brazil. Add to this their list of appearances at smaller boutique festivals (which they prefer to huge corporate events), including: Found (London), Jack’s (Kent), Straf_werk (Amsterdam), Into the Woods Festival (Amersfoort) and the Rainbow Serpent Festival (Melbourne). As they continue to evolve and move forward, Audiojack are now at a stage where they can truly blossom as both a production duo and label managers. In the studio they have left sample-based music behind in favour of creating their own sounds, working with live vocalists from Stee Downes and Nancy Whang of LCD Soundsystem to regular collaborators like Kevin Knapp. A 'less is more' approach is now fully integrated into their production process and has subsequently permeated through into their label ethos. “We throw away many more tracks than we release,” they say, keeping the emphasis on quality over quantity – the foundation for success in so many industries. Meanwhile Gruuv is slowly developing into much more than a label, with the duo steadily building an empire which will become a fully rounded home for their releases, bookings, publishing, podcasts and events with a long-term view to take care of other artists. Their roster currently consists of producers such as A1 Bassline, Copy Paste Soul, Chris James/Coat of Arms and Black Loops with luminaries such as Mr.G, Jimmy Edgar and John Tejada also contributing to the label's output. 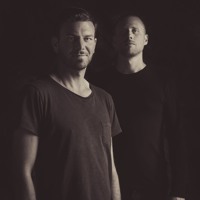 Funnily enough, the HQ of both Gruuv and Audiojack will soon relocate to Ibiza, bringing their story full circle and heralding a new chapter in their careers. 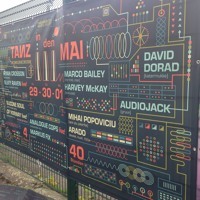 Audiojack @ Hive, Zuric ..
Edit: free downloads have now finished, well done to everyone who got a copy. Dusky - Songs Of Phase ..
Audiojack @ Mobilee | W ..
All Gone Pete Tong: Aud ..
First Flight on the A side, Warehouse on the flip, with a Pig&Dan remix. Supporting DJs include Davide Squillace, Steve Bug, Adam Beyer, Anja Schneider, Doc Martin, Nick Curly, Yousef, Matthias Kaden, Groove Armada, Riva Starr, Huxley, Edu Imbernon and label boss Hot Since 82. 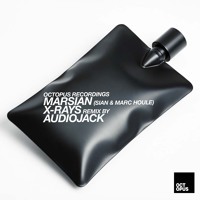 Audiojack - First Fligh ..
Audiojack - Warehouse ( ..
Marsian (Sian & Marc Ho ..
We remixed Dave Seaman’s new single Virgo Ryzin, and it’s out now. The EP is a solid package which also includes remixes from Sascha Braemer, Joeski and Loco & Jam. 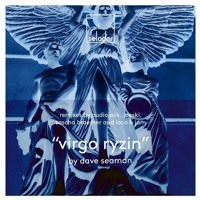 Dave Seaman - Virgo Ryz ..
Crosstown Rebels rolled into Warsaw on 18th November, and we were invited to warm up for label boss Damian Lazarus. Our set from the night was recorded; you can check it out here. Audiojack @ Smolna, War ..
Audiojack @ Trade, Miam ..
Our remix for Kerri Chandler finally gets a digital release! This is our remix of Kerri Chandler’s interpretation of Steve Reich’s minimalist classic Six Pianos. 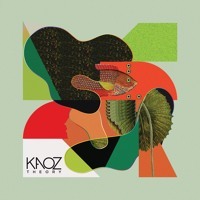 The release also features a modern rework from Kerri and new remixes from Loco Dice and Stephane Ghenacia. Kerri Chandler - Six Pi ..
Nico Stojan - Imaginati ..
Sasha introducing Audiojack - Spirit with Pete Tong on BBC Radio 1 @ Miami WMC in March. Coming out 23rd June on Last Night on Earth. 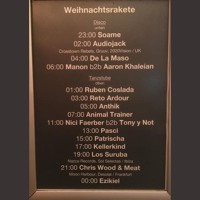 Spirit (Fort Romeau Rem ..
We always enjoy going back to Frankfurt to play at Tanzhaus West; we were there just last week and our set was recorded. 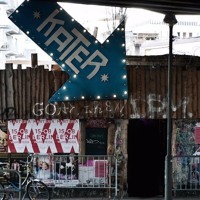 The club has three main rooms joined by a labyrinth of corridors, all with their own unique charm; Tanzhaus West, Dora Brilliant and Landungsbrücken, plus a café and an outside area. 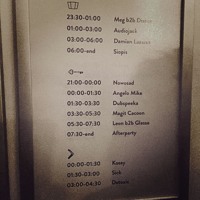 We played in the Landungsbrücken this time from around 4am. Hope you enjoy. 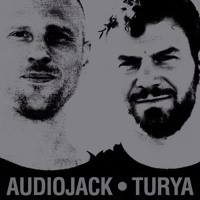 Audiojack @ Tanzhaus We ..
Deltawerk is Applescal and Hessel Stuut aka Polynation. Been big fans of Applescal for a while now (his Leone Highway EP was one of our favourites from last year), and we’ve been really enjoying the releases on his Atomnation label. 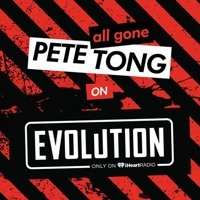 Highly recommend checking out this full EP as the original and Marvin & Guy remix are really nice too. The EP has found promo support from DJs including Ame, Maceo Plex, Dusky, Richy Ahmed, Michael Mayer, Marco Carola, &ME, Catz 'n Dogz and Nick Warren. 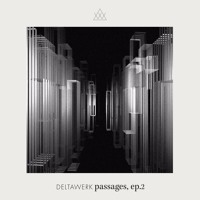 Deltawerk - Corridor (A ..
Vibrate (feat. 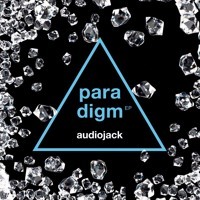 Kevin Kn ..
Audiojack @ Kater Blau, ..
Audiojack - Paradigm (G ..
Jamie Jones "I love this EP!! Great!" 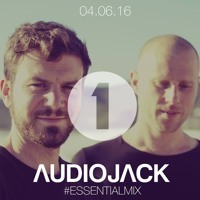 Audiojack - Event Horiz ..
Audiojack - BBC Radio 1 ..